Glyaxia Outlanders are coming to the 481 Universe on Friday! 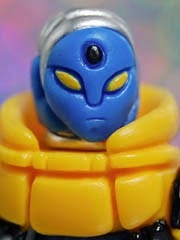 Blue and yellow figures aplenty are en route and dang if they don't look swanky. Figures and accessory packs will be available at 9:00 PM Eastern, just a few hours after a new Four Horsemen Power Lords drop. It's going to be an expensive day! Click here to see some picks of Ni's new stuff.